Iranian youth celebrating in northern Tehran after Team Melli qualified for the 2014 Brazil World Cup on June 18, 2013, just days after Hassan Rouhani was elected president. Millions of Iranians will gather in the coming days to watch their country take on the world in something other than politics. Against the odds, against Argentina, and after a long, eight-year absence, Iran’s participation in the World Cup is a welcome break from usual state TV programming. While the people of Iran ceaselessly hope for sanctions relief and a better economy, at least for now, sports will draw their interest more than their government’s wrangling with Western powers over Iran’s nuclear portfolio. Missing out on the festivities will be the more than 1 million recent high school graduates studying for the dreaded konkoor, a yearly university entrance exam scheduled for June 26. Tucked away in their bedrooms, poorly sheltered against the frantic shouts and exhortations just outside their doors, the temptation of the World Cup could not have come at a worse time for these students. They face a cruel calculus: an entire year of preparation to take a four-hour test focusing on five subject areas - the only way to gain college admission. The cost of failure will be an entire year of waiting just to retake the test. Those students who pass, on the other hand, will have no way of knowing beforehand where they will be placed (there are no campus visits in Iran) nor whether they will be able to enroll in their preferred course of study (their ranking on the konkoor determines both). It is an inconsistency that youth and the possession of a university degree have become the strongest predictors for unemployment in Iran today. The great mystery is that none of this seems to matter. Despite considerable outrage in the media and amongst the general public about the inability of Iran’s educational system to funnel graduates into the workforce, the demand for college amongst ordinary Iranians remains insatiable. So why participate in a system in which the odds, if not the system itself, appear to be stacked against you? This question is not limited to academia. Iranians take part in all kinds of “games,” be they educational (attending college to gain employment), political (voting in presidential elections), or athletic (the World Cup), despite very low chances of success. The politics of participation in Iran is not without explanation. Disappointment and fatigue with a revolution that remains wedded to large and unwieldy promises have left many people inclined to seek their advantage in the small and manageable, to get what they can from revolutionary strictures. A college degree is unlikely to produce a job, just as a vote for Hassan Rouhani will surely not lead to Jeffersonian democracy. But while both are uncertain opportunities for progress, nonparticipation guarantees failure. Something similar is happening with Iran’s Team Melli. 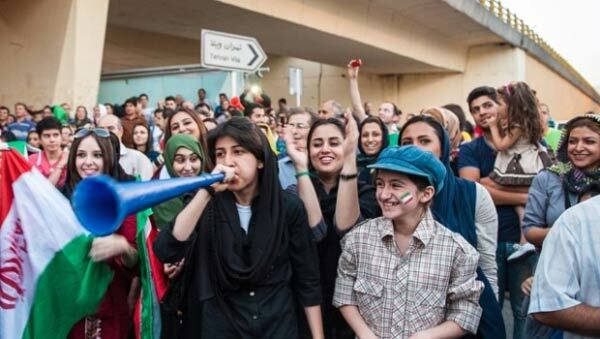 The national team qualified for the World Cup just days after Rouhani’s election, the celebratory crowds for which dwarfed even the widespread street celebrations following Rouhani’s presidential win. Today, every Iranian knows the chances of the national team making it to the second round, much less winning the tournament, are almost zero. That does not mean, however, that Iranians will turn off the TV when Iran plays against Lionel Messi and the formidable Argentinian team on Saturday, or that young people won’t find a way to sneak away from their books to watch the match, all in the hopes that maybe, just maybe, the odds will turn their way. 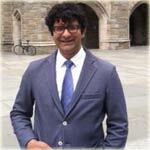 Shervin Malekzadeh is a Visiting Assistant Professor in Political Science at Swarthmore College. His research focuses on the politics of schooling and culture in post-revolutionary Iran. A former schoolteacher and a frequent visitor to Iran, his articles have appeared in The New York Times, The Atlantic, Time, Al Jazeera, Tehran Bureau, Folha de S�o Paulo and Salon.